Rustom movie has made good box office figure at domestic box office and it just has proven to be another blockbuster of 2016, Akshay Kumar keep making hit movies and showing his strength and acting profession. The movie is keeps dominating the domestic as well as overseas market even. The first week total domestic collection of the movie stands at Rs 90.90 Crore nett which is far better than "Mohenjo Daro", which was released on same day. Including overseas markets box office business, the film has collected total Rs 122 Cr in eight days. The movie has done wonder in domestic box office market and also doing good collected in overseas. The film remained strong in international market as compared to Ashutosh Gowariker and Hrithik Roshan starrer "Mohenjo Daro". The movie is based on a true story but Director, Music composers And Star cast have taken a bit of liberty and made it more interesting. The movie has managed brilliant collection at the Indian box office in the first week and soon it will crosee the 100 crore mark and it will be back to back hit from akki. On Friday the movie has fetched total 4.41 Cr despite new releases and its expected the movie will rule the box office on its 2nd week run. Lets us talk about Rustom 9th Day Collection, the movie has to face competition from 2 movies now one it last week released and this week new Bollywood film "Happy Bhag Jayegi". 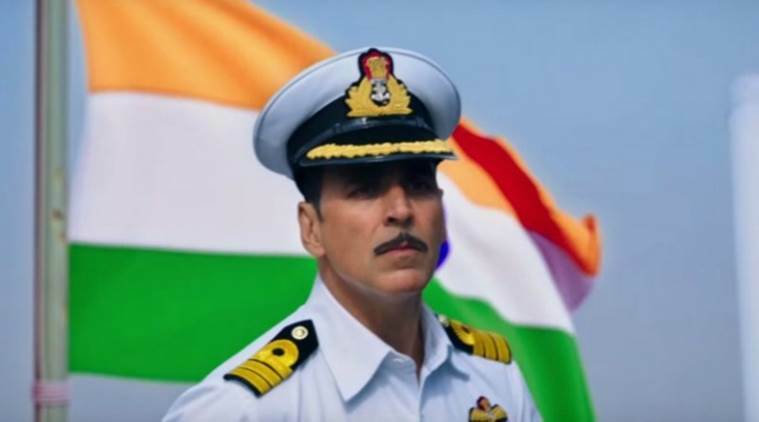 Rustom 2nd Saturday Collection is Rs 5.6 Crore. The box office collection occupancy is registered around 40-50%.